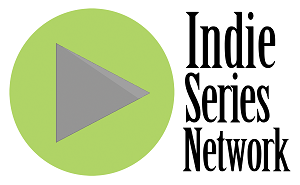 In the last Indie Series Network "Web Series of the Week" poll, Family Problems was voted favorite indie series for the week. It's now time to catch up on all the new episodes and vote for your favorite series in this week's poll. You can also cast a vote for your favorite actor, actress and web series couple/duo. Voting ends Tuesday, April 21 at 4 p.m. ET (one vote per person per day). Web series that aired one or more new episodes from April 11-17, 2015 are eligible. If an indie series aired this week and is not on the list, cast your vote as "Other" and write in your choice. Note: The weekly poll can now also be found at serialscoop.com. - Family Problems Episode 45 "Haunted"
- From Mansfield With Love No.38 "Tragic Characters" & No.39 "Mister High and Mighty"
- Get a Life Coach "Roommates" & "The Interview"
- How I Seize It Episode 160 "Income Equality"
- It Takeis Two Episode 1 "Seriously Part 2?!" - Karma Season 2 Episode 18 "That's What Friends Are For"
- The Misselthwaite Archives Episodes 15 "Flamethrowers vs. Gardening Gloves" & 16 "Brit Marklan, FBI"
- Ordained Episode 2 "Louis Ex Machina"
- Proper Manors Easter Special "A Kosher Easter"
- Raymond & Lane Season 2 Episode 7 "The Birth of a Friendship"
- Real Hollywood Episode 3 "N Word For Asians"
- Redheads Anonymous Episode 3 "Red Head Redemption"
- Roomies Episode 10 "A New Beginning"
- The Single Life Episode 5 "Black Girls"
- Submissions Only Season 3 Episode 5 "Very Meta"
- Youthful Daze Season 3 Episode 30 "Black Sheep"